A £1.2m Yorkshire Water project to establish an in-house Operational Jetting Team is the first of its kind for the utility company. 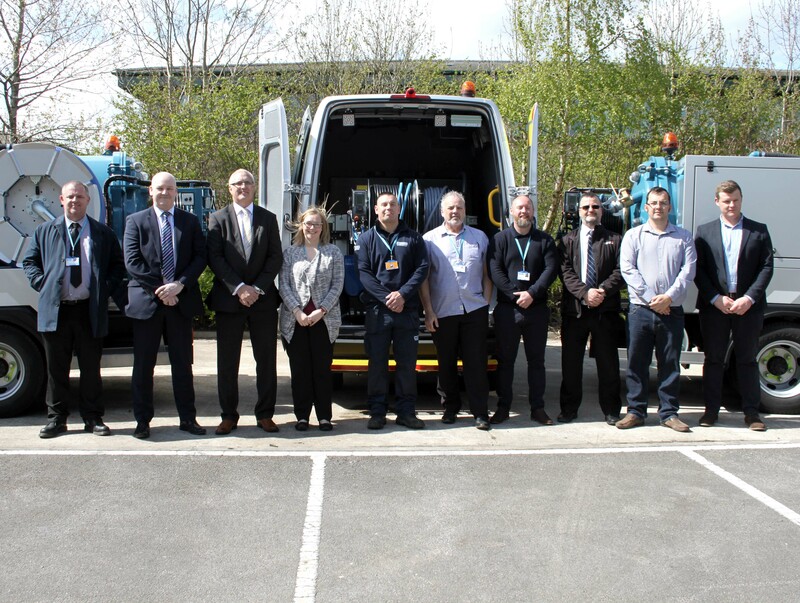 The new team, consisting of 22 staff, has been equipped with a 14-vehicle fleet of new jetting vans and combination units that were designed and supplied in a joint project between Morrison Utility Services and Rioned UK. Following the 2015 Boxing Day floods, Yorkshire Water re-evaluated its capability to respond to escalations in flooding and pollution. To cope with the destructive effects of a unique flooding event such as 2015, the company was forced to call in additional resources from other utility companies. A new business case defined a strategy to allow Yorkshire Water to handle this requirement internally, without the need for what is known as “Mutual Aid”. To equip the new team, Morrison Utility Services was approached. As an AMP6 contractor partner to Yorkshire Water, Morrison Utility Services manages the support and delivery for all water networks repair and maintenance activities, as well as developer and metering services, across Yorkshire Water’s geographic footprint. Morrison Utility Services has partnered with Rioned for several years, utilising its jetting equipment on other wastewater contracts. Jeremy Harrison, Director, Plant and Fleet Services at Morrison Utility Services, says Rioned were asked to provide a comprehensive solution to meet the new team’s requirements: “From our perspective, we always look in detail at the quality and specification required for the task in hand. The feedback about Rioned equipment has been very good, and the quality and reliability of the jetting equipment makes it possible to fit into further vehicles and second or even third life the unit if required. 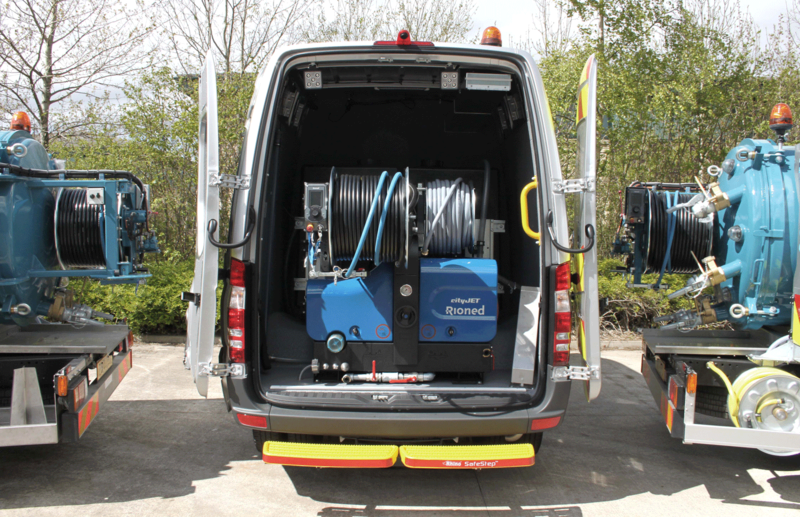 One of Rioned’s biggest UK projects to date, the new fleet includes 10 jetting vans that are fitted with the CityJet jetting unit; a proven performer for UK water companies. The new high-pressure units have been housed in customised vehicles featuring a waterproof spray lining, large water tank, bulkhead, LED low-volt lighting, night heaters, racking and welfare fittings. The vans were also fitted with CCTV systems and supplied with drain cleaning accessories such as root cutters. Yorkshire Water’s new team has been established to respond to, investigate and resolve sewer network pollution incidents both in and out of hours. It will primarily be used to unblock sewers and prevent sewage escapes in periods of escalation, and in support of contractor teams.